2 Bedroom Terraced House For Sale in Aylesbury for Asking Price £375,000. You enter through the front door into a cosy welcoming sitting room with stirs to the first floor ahead of you, an exposed beam and a fireplace with a wood burning stove. The kitchen is open plan through a doorway off the sitting room and has been thoughtfully and comprehensively fitted with base units with solid wood work surfaces, underfloor heating and a good size store cupboard. At the far end of the house again open plan to the kitchen and overlooking the pretty garden is a really attractive dining or family room again with under floor heating and a glazed roof. Upstairs is a landing with a good size airing cupboard and there are two double bedrooms with a master bedroom at the front with a well planned out walk in cupboard and the further double bedroom at the rear with views across the allotments to the surrounding countryside along with the bathroom. 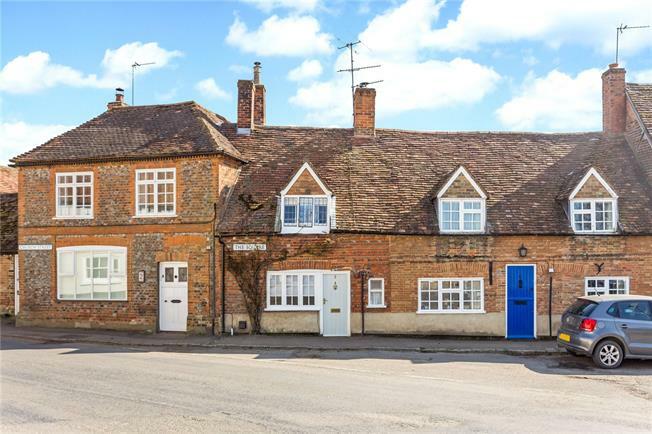 Brill is an extremely attractive and popular hill top village with panoramic views over rolling countryside, an historic windmill on the common and a village green. The general store, newsagent, butcher, post office, pubs, sports & social club, highly regarded primary school, doctor’s surgery, plus ease of access to the M40 and mainline railway stations (Haddenham & Thame Parkway, Bicester North or Bicester Village) mean that its popularity is enduring. For day to day shopping the market town of Thame offers a selection of supermarkets and independent shops and the proximity of Brill to the Oxfordshire border means that it falls within catchment for the excellent secondary Lord Williams’s School in Thame, or the selective (Grammar) schools in Aylesbury or alternatively the proximity to Oxford means that the highly regarded independent schools are also easily accessible. Outside the cottage garden has a patio, raised flower beds, a detached brick store and gravel with stepping stones down to a rear of the garden and a gate leading to the allotments.